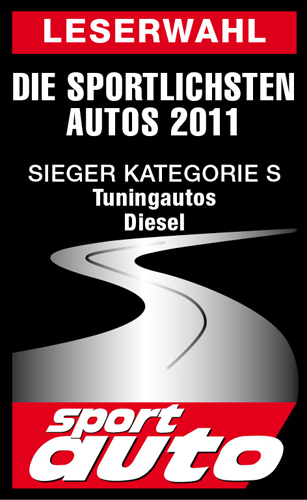 The Hartge BMW H35d was just named the “Most Sporting Car of 2011” in the Diesel category by readers of a renowned automotive publication, and for good reason. 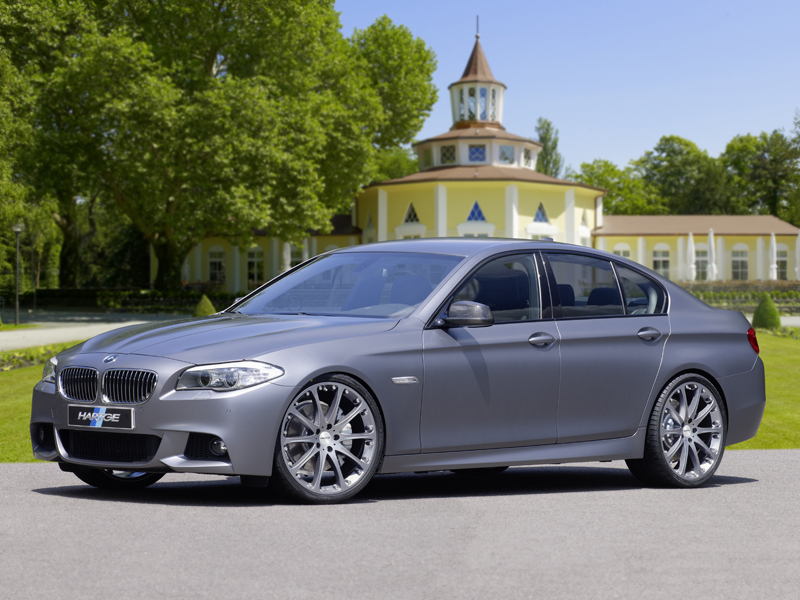 The BMW specialists at Hartge have managed to transform the BMW 535d sedan (F10) into an efficient and powerful driving machine that isn’t afraid to smoke the rear tires with the new H35d tuning program. 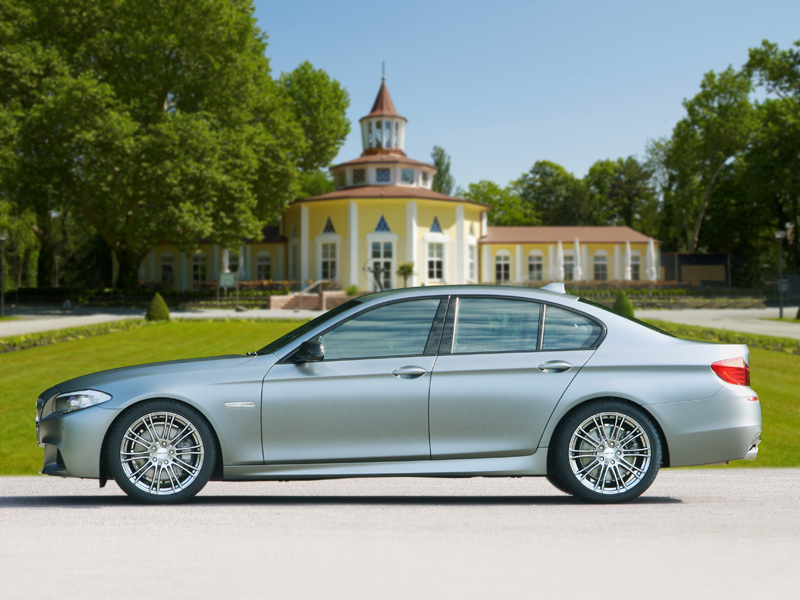 What makes the BMW 535d so attractive to many buyers is the balance of power and fuel efficiency. Hartge is able to take that aspect to a new level with a new power boosting module and rear muffler with dual 80 mm exhaust pipes. The 535d tuning module increases output to 354 horsepower at 3,400 RPM and 516 lb-ft. of torque at 1,800 RPM while still achieving Euro 5 emission standards of 162 g/km. The 3.0-liter twin-turbocharged Hartge H35d diesel is capable of launching the sedan to 62 mph in just 5.2 seconds and reaching an electronically-limited top speed of 155 mph (250 km/h). But the Hartge H35d isn’t about straight-line speed; it’s a BMW. Hartge has installed new in-house ten-spoke “Classic 2” wheels in a 8.5 x 21 offset 34 front, and 9.5 x 21 offset 55 rear fitment. The pair of front wheels wears Yokohama Advan Sport 255/30 ZR 21 front tires, while the rears ride on 295/25 ZR 21 tires. 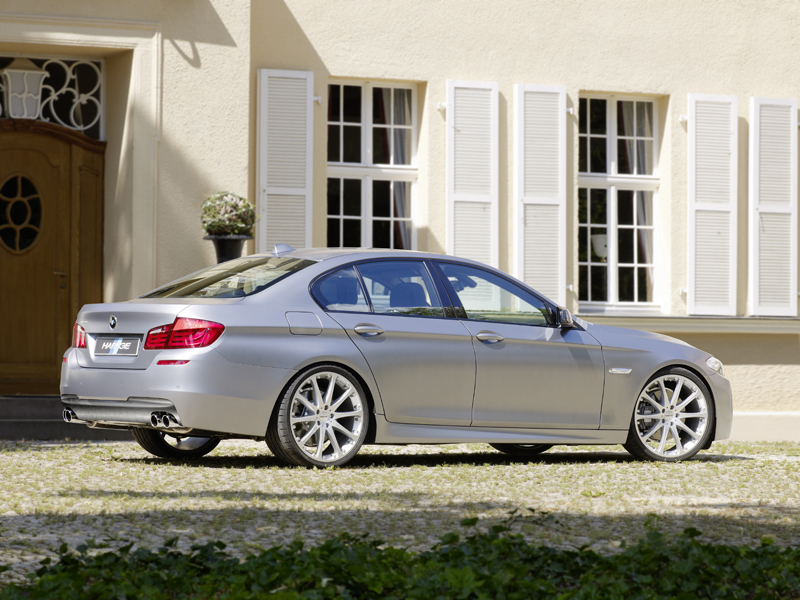 The H35d is then lowered by 30 mm thanks to Hartge sport springs that provide the sedan with precise handling dynamics. The exterior has been kept mainly stock save for a few Hartge aesthetics. The side mirrors have been given a carbon fiber shell and the front and rear wear new Hartge emblems. A subtle Hartge insignia and matte silver stripes complete the visual upgrades for the exterior. As part of the package, Hartge can also upgrade the interior with a number of options. Hartge can install a three-spoke sports steering wheel with aluminum logo or carbon fiber steering wheel cover for a better feel while driving. The floor can be given velour mats, stainless steel sill covers, and aluminum pedals for the driver. 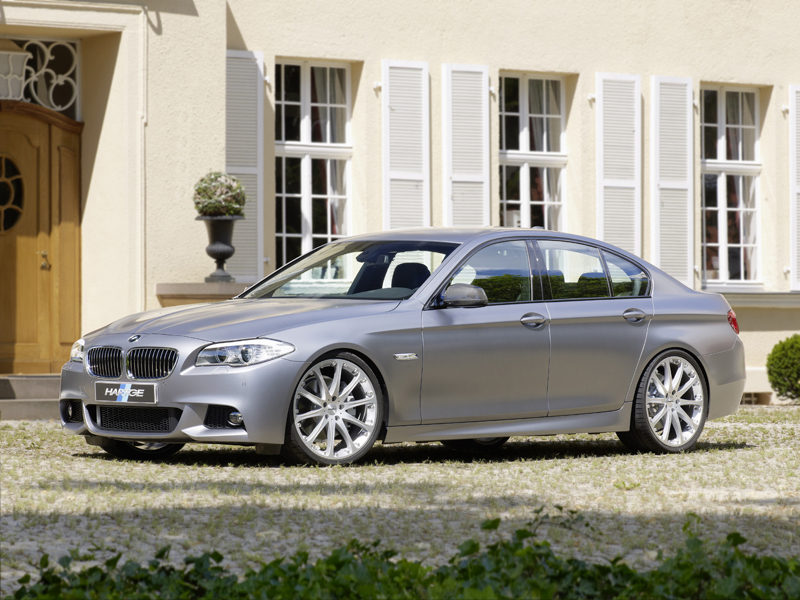 The award-winning Hartge H35d based on the BMW 535d (F10) can be purchased as a complete package or as individual accessories. Pricing has not been released. What do you think of the Hartge H35d’s performance for a diesel? Leave a comment and let us know!